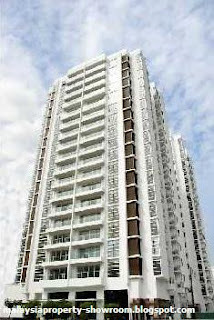 Bintang Goldhill is a uniquely designed residential complex with 1, 2, 3 and 4-bedroom fully furnished units ranging from 775 to 2,971 square feet. Residential facilities include a hydrotherapy pool, gym, steam bath and a barbeque pit on its rooftop as well as ample parking for 237 cars. A function hall is also available for your social activities. Strategically situated along Jalan Tun Razak, Bintang Goldhill is within K.L.’s Golden Triangle commercial district and easily accessible to offices, banks & restaurants. Kuala Lumpur’s famous shopping centres like Suria KLCC, Starhill Gallery and the brand new Pavilion can also be reached within minutes. Boasting an uninterrupted view of the Royal Selangor Golf Club, Bintang Goldhill shares the neighborhood with Prince Court Medical Center, Gleneagles Intan Medical Centre and embassies such as the American Embassy, French Embassy & British High Commission. Your home is also close to schools such as the International School of Kuala Lumpur and the Garden International Primary School, as well as hotels like JW Marriott, Ritz-Carlton, Westin and Mandarin Oriental. An extensive network of expressways like the North-South Expressway, the Ampang-KL Elevated Highway and the SMART Tunnel enable convenient commute. The new KL-Putrajaya Highway nearby also makes Kuala Lumpur International Airport a mere 35 minutes away. Facilities include Rooftop hydrotherapy pool, gym, steam bath, cafe/restaurant, 237 parking lots, 24-hour security, smartcard access, CCTV monitoring. Built-up Area : 775 - 1,492 sq.ft.